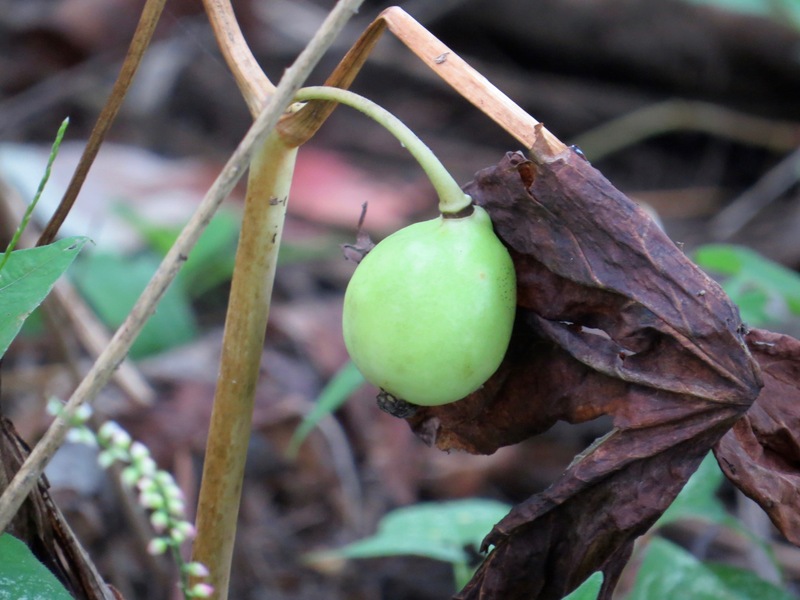 I’ve never seen so many Podophyllum peltatum fruits. This patch was up in the Finger Lakes region this past weekend. They aren’t quite ripe. When they are, they should smell “fruity” and weigh down the plants to the ground, according to Carol Gracie’s Spring Wildflowers of the Northeast. 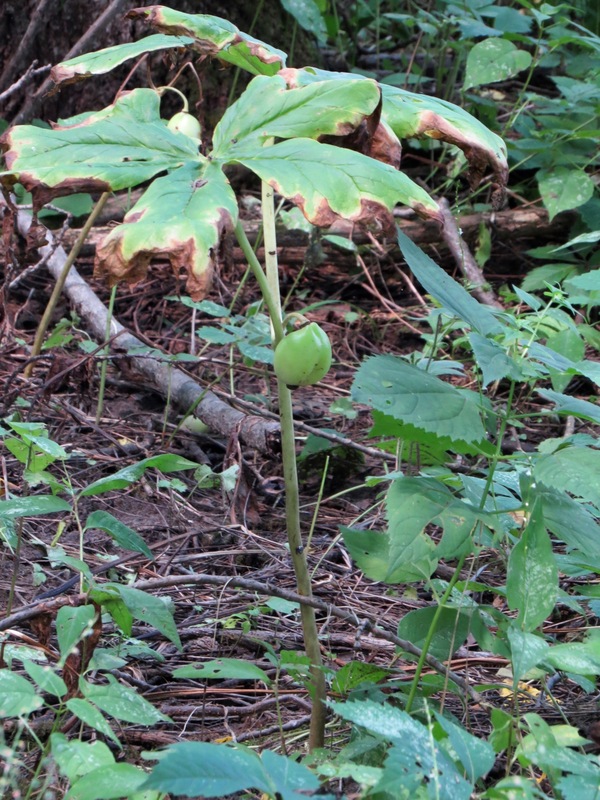 She also notes that an Asian Podophyllum species is harvested for cancer-fighting drugs — but not sustainably. Who eats this golfball-sized fruit? Turtles and deer. Whenever I see a wild fruit like this, I wonder if there were once other creatures who ate it, too. Unfamiliar with it. Native Americans did use the fruits as emetics and whatnot. 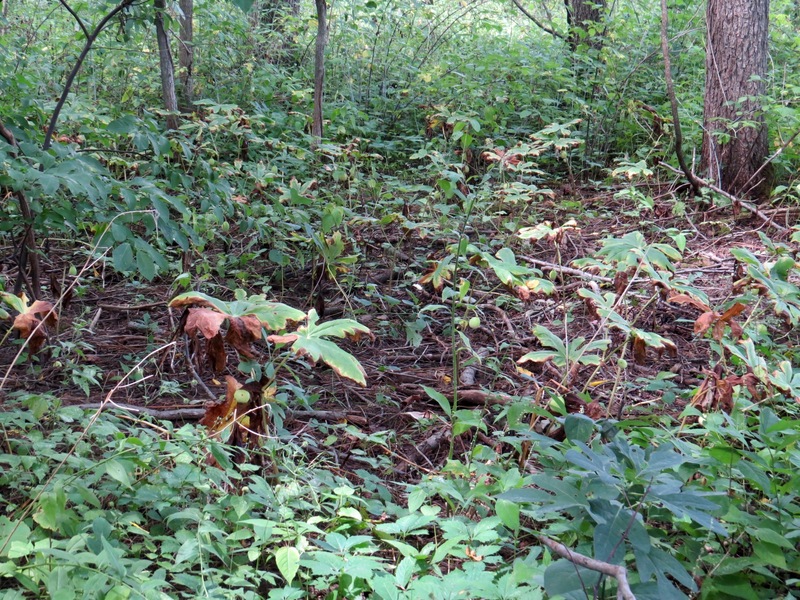 Some of these urban foragers eat them and live, unfortunately… um, just kidding, of course! I say leave them for the turtles.